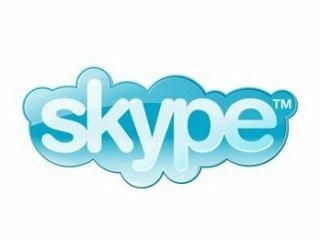 It's a hot news day over at Skype towers, with the leading VoIP operator announcing the latest version of its software for Windows, in addition to major updates for Skype on Windows Mobile and iPhone. Firstly, Skype has upgraded its app for Apple's iPhone and iPod touch this week, so iPhone Skypers can now check their Skype voicemail on the go and send cheap-as-chips text messages via the service. In addition, language support has also been improved and Skype's designers have given the "look and feel" of the app a little makeover, to iron out a few UI niggles that user's reported back to them about the previous iteration of Skype on Apple's mobile devices. It's not all about the iPhone though, as the latest version of Skype on Windows Mobile devices will also let users share files when they are in IM chats – a superb addition to the service. Finally, Skype 4.1 for Windows is also now gold and ready for you to download. "We've fixed a number of bugs found in the beta release," notes a post on Skype's blog, urging PC users to update now. "We've added useful features like screen sharing, which is a great way to show off your latest creations and presentations, or help a friend with their computer. We've also included birthday reminders (though you'll have to bring your own cake). "What's more, we've listened to your thoughts and feedback and further refinements have been made to audio and video quality – so your calls should sound and look better than ever." Head to Skype to download version 4.1 for Windows now.